There’s another big national crappie tournament with plenty of local interest coming up this week — the Crappie Masters National Championship on Truman Lake out of Clinton, Missouri. It won’t be close to us, but it has major implications for our area with the huge interest in this crappie trail. Mike says he’s expecting 160-170 boats in the National Championship. Payback is close to $100,000.00 in cash and prizes for the Championship. 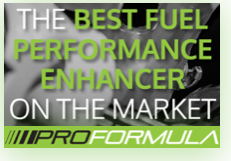 First place will take home a whopping $30,000.00 cash plus incentives like a $2000.00 bonus if they are using E10 fuel in their boat during the Championship. The fishing should be incredible with the water cooling off some. Truman is known for catching good numbers and decent size. There are some area fishermen expected at the tournament including Terry Richard, Tim Elrod, Gary Davis, Larry and Sonya Ponder. Others have qualified but have not registered at this point. Mike Vallentine talks crappie with the News Star’s Greg Hilburn while Farmerville Mayor Stein Baughman talks up D’Arbonne on TV at a recent Crappie Masters Media Day on D’Arbonne.